A musician has said she was prevented from travelling with her cello on a British Airways flight because the instrument apparently needed a visa to travel in the extra seat she had booked for it. 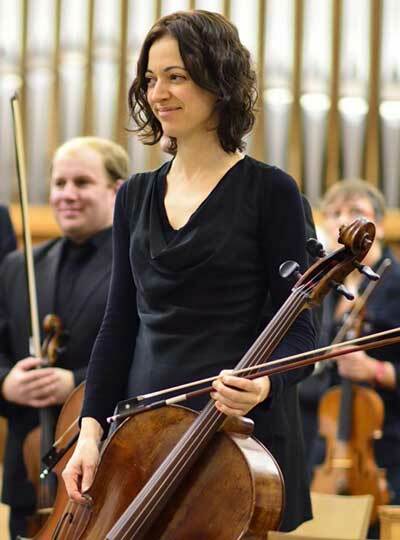 Jane Bevan, 35, was attempting to board a flight from Zurich to Baltimore, when she was told at check-in that her cello needed a US ESTA travel visa. Ms Bevan, who booked her cello in its own seat under the name "Chuck Cello", said she called BA a month before her flight and was told that the second seat followed airline policy. "When I arrived at the airport I was told by a BA steward there was a problem with the booking," she said. "I waited for half an hour while she spoke with her supervisor and was then told the check-in for the extra seat could not be completed because the system needed an ESTA visa." Ms Bevan said she waited in the airport for two-and-a-half hours and ended up missing her flight. The amateur musician said she did not receive any compensation from BA, and flew out the following day with United Airlines. “I had no problems with United Airlines,” Ms Bevan said. “The staff were very friendly and even offered to put my cello in first class. I’ve flown with my cello before using easyJet and Swiss Airways. "I’m used to the situation being unfamiliar to staff and having to wait for them to speak with their supervisors, but I’ve never experienced anything like this before." BA said in a statement: "This was a highly unusual incident which arose after the customer booked a seat for her cello as a named passenger. This is what triggered the requirement for an ESTA from the US government. The ticket the customer booked through a third party website was non-refundable." I would rather take my chances with a raft in the Atlantic Ocean than to ever take BA again. What happened when you flew with BA? Flying with BA wasn't the problem. While making reservations on their site, they show the complete cost of the flight. Then you go to the next page to put in your credit card info. During the school holidays, they give you what you think is the final cost, but when you go to the next page to put in your credit card, they slyly add a lot more to the final cost. I don't realise it and put in my credit card details. For three of us - two adults and one child - we were charged 3,300 pounds to fly from London to Washington DC. They charged me over a thousand quid more than what the final price should have been. I did some checking when I got home and I was right, they always give the final price on the page before paying for it. Then I went and checked it out during Christmas holidays and they added over 2,000 pounds more on the credit card page. During Christmas, they were charging 5,000 quid for the same amount of people. They've already gotten fined for doing this, but it wasn't enough to make them change. After arguing with them about this, I finally told them that they will never see another penny from me and they won't. Oh wow, that is incredible! Just ask any pilot from another airline what they think of BA. 'Arrogant bastards' just about covers it.